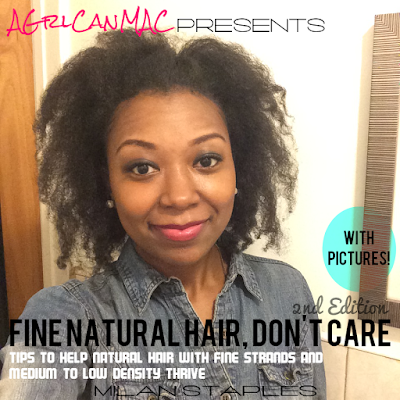 After the Naturally Curly meet up yesterday, I got put on to Shea Moisture Leave-In Conditioner. The ingredients looked pretty good and I have been looking for a creamier/thicker leave-in now that it's cooler. I love my KBB (Karen's Body Beautiful) Hair Milk but it just isn't moisturizing/heavy enough for the cold weather approaching. It's more gel like and I need something creamy. So I headed to my 2nd choice, neighborhood BSS (my 1st choice one nearby was closed) today in search of it. I couldn't find it. =( Main reason it's 2nd choice. Lol. 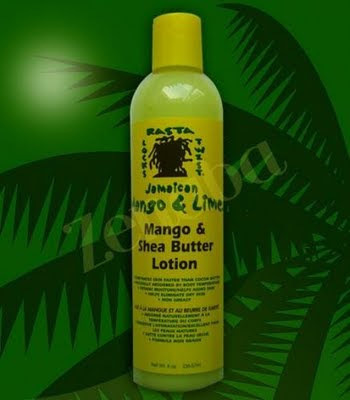 I found something else in the 2nd choice BSS that might work: Jamaican Mango & Lime Mango and Shea Butter Lotion. It's marketed as a body lotion but after looking at the ingredients, I got to thinking that I'm going to try it on my hair! It's smells heavenly (like mangos), natural ingredients and only cost $4.49. Not an expensive loss if it's a nay. I suppose if it doesn't work, I can always use it how it was intended. Lol. I'll let ya know how it goes! Let me know how it goes. I'm on the lookout for a great moisturizer that I can buy in stores. This winter is killing me! So interesting hun! I hope ur hair loves it! That sheabutter leave in is where its at my love. Give it a shot!! Keep us posted! I wanna know if it works too. Hmm... we'll see ladies. I haven't tried it yet prob won't till I wash my hair again which won't be till Sunday night. So by Monday, I'll have an answer and a post! I have 2 bottles of this leftover from when my kid had locs. Using it on our loose hair, uh it has some beads in it (our bottles do)and they won't melt and absorb. I want to like this bad but I can't get it to do right.